Facials are great-no doubt about it. They spring clean your pores and rebalance your skin to give a glowing look. 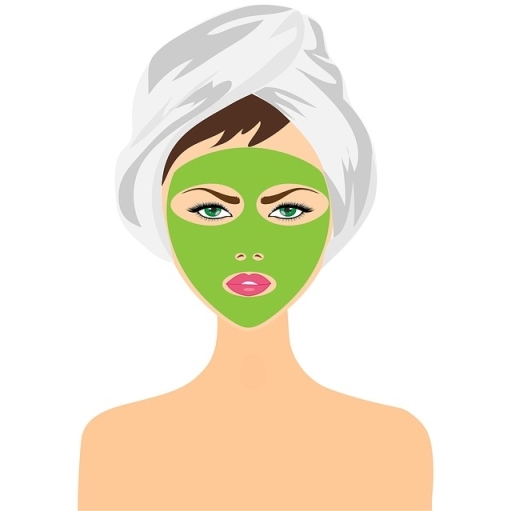 Now a day, do-it-yourself home facials are a part of many women’s beauty regimen. What you don’t know about doing your own facials can hurt you. No matter what condition your skin is in, too much of a good thing (i.e. daily facials) will increase your problems. Here is how to do it right while avoiding the pitfalls. Steaming: It should never take more than 10 minutes to adequately soothe, and release impurities through perspiration. Wait a few moments before placing your face over steam to avoid burning sensitive skin. A vaporizing type of machine, designed specially for facial steaming, is best in that it controls the temperature, as well as the intensity, of the vapor emitted. Keep your face at least 6 inches from the water surface. Scrubbing: Avoid traditional cleansing grains (available in powders, pastes and bars), which usually contain ground-up pumice and shells that scratch rather than smooth skin. Instead, try a gentler traditional scrub. Squeezing: Never squeeze blemishes yourself, while doing a home facial. Concentrated pressure does not purge impurities-it weakens pore walls causing oils to leak into surrounding tissue. Improper pinching and squeezing actually distributes oils further into glands which will lead to an increase in flare-ups, say dermatologists. Masks: Never use ‘peel off’ versions too many days in a row-that’s too harsh on delicate skin. Mud-based varieties are best for most skin types due to the substance’s natural ability to draw out impurities. Remember to take into account not only the skin type when applying a mask, but your complexion’s immediate condition, whether it acne prone, too dry or sensitive. Moisturize: Even if your fear that a moisturizer is synonymous with pore clogging oil, avoid using antiseptic to tone your skin in the final stages of a facial. Your skin will eventually pay the price for swabbing with alcohol based products. The best toner is actually the left over water from your steaming, provided it has cooled down. It is recommended rinsing with this water to finish your facial.